If you have not heard about it already, Wannacry is the name of a cyber-attack that has affected more than 200,000 computers in over 150 countries worldwide. 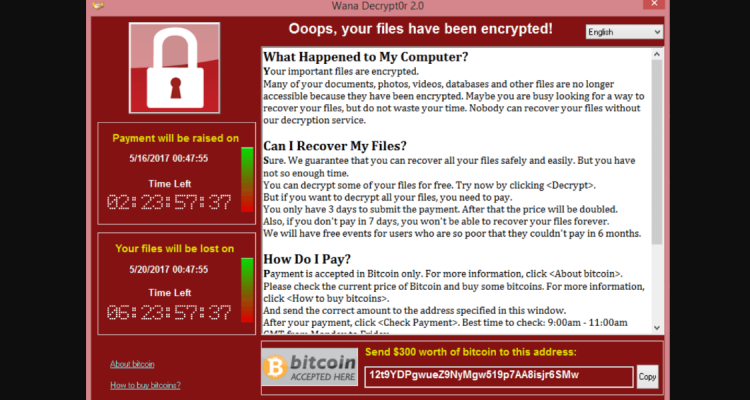 This ransomware works through hackers, who encrypt computer’s files and data and demand a ransom amount of at least $300 and up to $2000 in Bitcoins to be paid in order to gain access back to your computer. Typically, the demanded amount of money will increase over time until the end of the countdown, after which, all the files on the computer are destroyed. Data local to the PC as well as data on mapped server folders will be encrypted, meaning your company may not have access to critical data until files are decrypted or restored from a backup. 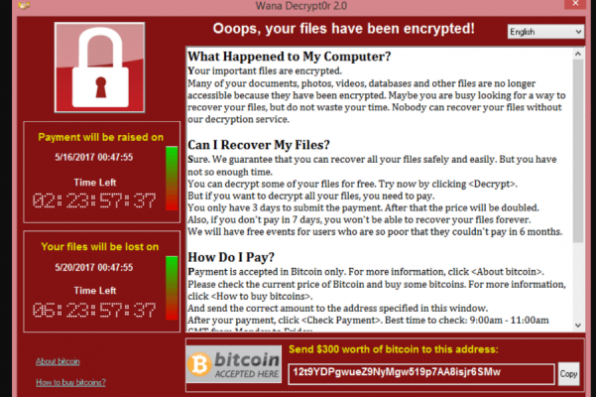 Wannacry ransomware exploits a vulnerability on Microsoft’s older systems; a problem which the company had fixed in early March. This hack was originally discovered by the National Security Agency, which supposedly kept this information for surveillance and other issues. The hack was then leaked by a group of hackers called the “Shadow Brokers.” What makes Wannacry so dangerous is its ability to spread from a single computer to a company’s whole network. This ransomware was first brought to the public eye when over 15 hospitals in the UK had all its files encrypted in May 2017. This created a problem for patient treatment and monitoring care, which then led to hospitals urging patients to only seek care for genuine emergencies. In the last few days, UK security services have announced that they believe Lazarus, a group that has been linked to the North Korean government, is responsible for the ransomware attack. The U.S. National Security Agency also found evidence of North Korean involvement. 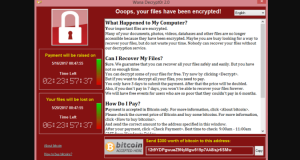 Computers using a Windows version that has not been updated are at most risk for infection by Wannacry. Additionally, networks of computers in schools, hospitals, and businesses are vulnerable because the ransomware spreads through standard file sharing technology in Windows powered PCs. Since the updated version of Windows protects against Wannacry, it is important to make sure every computer on your network is updated. It is also important to have an updated antivirus and it is highly recommended to have a network firewall to ensure that you are protected. And as always, don’t click on any suspicious links that may be sent through email or other sources. How can Right Click help? Under our Total Care IT plan, we monitor your computers and make sure they have all the newest security updates to protect against malware like this. We also provide antivirus and antimalware software, which while not 100% effective, still provides a high level of protection that reduces a significant amount of risk. Additionally, your files will be backed up to ensure that if anything did happen, your files will be safe from ransom demands.